Things we don´t like: smudges, scratches and wear. Least of all we dislike the combination of any of those with our handheld companions. But luckily for you, XQISIT seems to be a dab hand at solving mobile dilemmas. 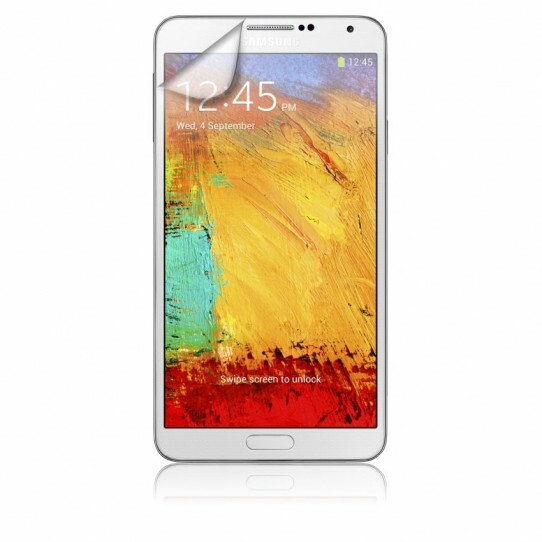 This Screen Protector for the Galaxy Note 3 has been pre-cut to perfectly fit your device and designed to shield its screen surface with a high-tech, second skin. No more droplets, fingerprints or scratch marks – these are all a thing of the past. Sigh… if only you could have something like that for your car.